Are you looking to buy or sell homes and property in the South Bay? Vista Sotheby's International, has been a real estate industry leader for over 20 years. With offices in Manhattan Beach and Redondo Beach, South Bay Brokers and Keith Kyle, licensed Realtor® can help you with all of your South Bay real estate needs. Find Your South Bay Home is your South Bay resource for real estate, investment properties homes and townhomes for sale in the cities of Hermosa Beach, Manhattan Beach, Redondo Beach, Torrance, El Segundo, Hawthorne, Hollyglen, Hollywood Riviera, Gardena, Lomita, Harbor City, San Pedro and Palos Verdes. 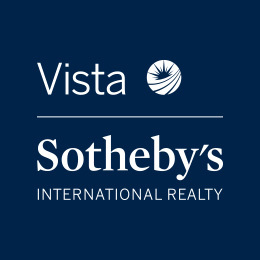 When working with Keith Kyle, you get more than just the expertise and service of one person....you get the backing and support of Vista Sotheby's International.....one of the most successful and reputable real estate companies in the South Bay. Leaders in South Bay Real Estate since 1985 with 7 straight years of the highest per agent sales volume in the South Bay. With Offices in Manhattan Beach and Redondo Beach. Vista Sotheby's International and KeithKyle - Serving all of your South Bay real estate needs. Redondo Beach, Torrance, El Segundo, Lawndale, Hawthorne, Palos Verdes and surrounding neighborhoods. At Vista Sotheby's, we take pride in our consistently high sales volume, unquestioned ethics and deep community involvement  and have done so for the past 20 years. All of these winning qualities stand firm upon a strong, stable, enduring foundation provided by our founding Brokers, our dedicated agents, staff longevity, cooperative working environment and continuing education program. If youre looking to buy, to sell or just get a feel for the area, youve come to the right place. We are here to help. Please select a link and take a step toward a partnership sure to meet your highest standards of excellence.